The THERM-O-TYPE Zip - CSCL Pro cutter/slitter/creaser provides unmatched product finishing performance, features and capabilities. 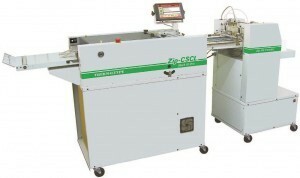 While superior to competitive cutter/slitter/creaser models, the Zip - CSCL Pro is competitively priced and is the only model manufactured in the United States. The Zip - CSCL Pro is the only cutter/slitter/creaser that uses an "offset" press style feeder. This feeder provides the largest paper capacity (13.5" pile height), decreasing the number of re-load cycles, reducing operator workload and increasing productivity. 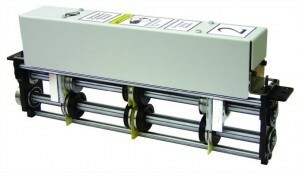 The feeder also uses "Big Foot" suckers to improve feeding difficult to handle stocks and includes a double sheet detect/interrupt. The Zip - CSCL Pro feeder can feed un-coated, single and two sided UV coated or laminated sheets. 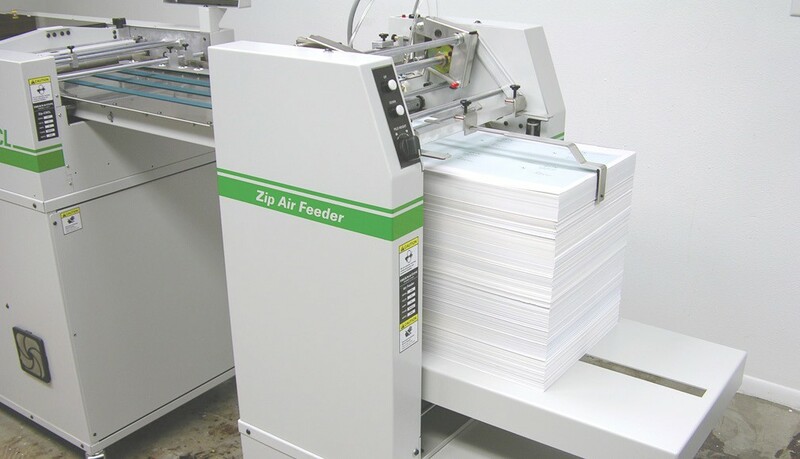 While competitive models use a low cost "fan/belt" feeder, with a dramatically smaller paper capacity, there are no compromises with the Zip - CSCL Pro feeder. 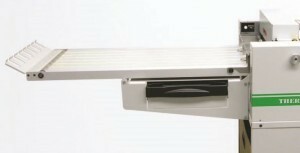 The Zip - CSCL Pro is the only cutter/slitter/creaser that uses a full length alignment table with micro - registration and skew adjustments. Think about it, every piece of precision printing equipment uses a full length alignment table that can precisely position each sheet after it completely passes through the feeder. Some companies try to use lower cost methods to control side registration and skew but none have ever matched the accuracy achieved with a full length alignment table. 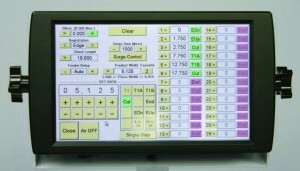 The Zip - CSCL Pro is the only cutter/slitter/creaser that comes standard with a full color Windows touch screen computer control system. 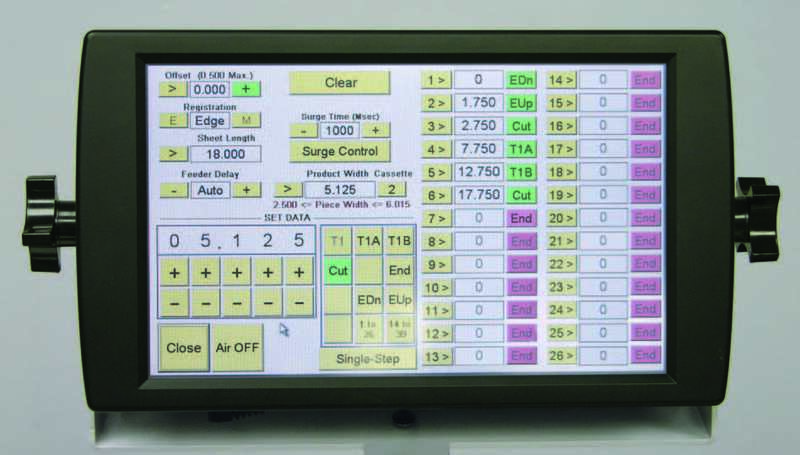 The control system on the Zip - CSCL Pro is the most advanced system capable storing and retrieving up to 500 programs. 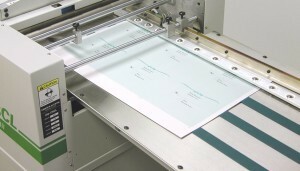 Watch the Zip-CSCL in action; one pass production; cutting, slitting, creasing and more!